« Envelope Journal Flick Through. 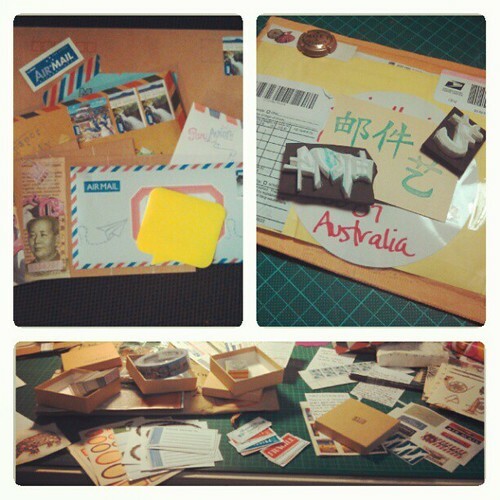 Incoming and outgoing mail #showandmail, originally uploaded by jen_fripperee. Top Left: Outgoing mail to Pen Pals and Swap-Bot Swaps. One is a round robin postcard swap and i just can’t wait to see how they finish up! Top Right: Incoming Swap-bot Swap. A loveley set of “Mail” and “Art” Stamps form the lovely Luluvision. Hi! Do you want one more pen pal? I would love to become your pen pal, so tell me if you’re interested 🙂 Hope to hear from you!